ALANA is using Smore newsletters to spread the word online. The ALANA A-List showcases the top events in the multicultural community happening on campus. 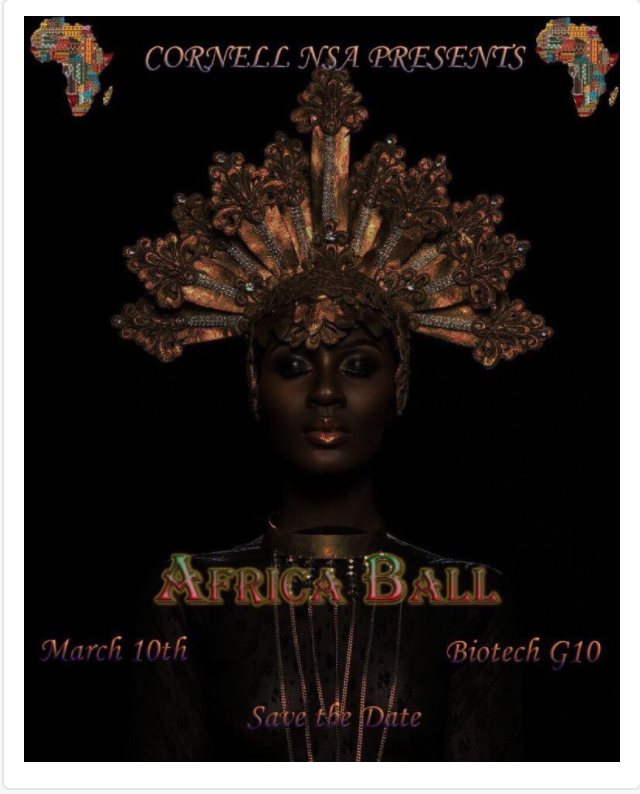 Listed below are events you do not want to miss! Please email lce29@cornell.edu to be featured on the next edition of the A-List. Submissions are due on Sundays at 11:59p EST. Anything submitted after this deadline will be on the following week's edition. Natural Disasters have devastated communities in recent years, with especially salient effects on human experiences and mental health struggles. Join us for a FREE dinner and discussion on February 28th 5-7pm in the Willard Straight Hall Memorial Room. Come hear Men’s Track and Field Coach Adrian Durant, Cornell’s Head Coach of Men’s Track & Field and Cross Country, speak about his experiences on hurricane relief and efforts to aid people affected by Hurricanes Irma and Maria in the U.S. Virgin Islands. 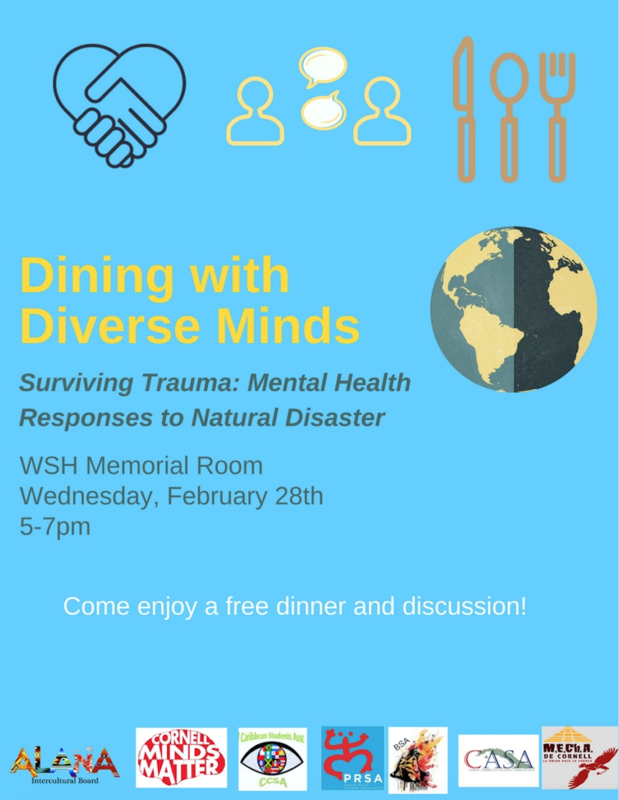 We will also be having student panelists from Puerto Rican Students Association and Universidad de Puerto Rico speak about their personal experiences with natural disaster and recovery. CULTURE FEST IS IN FULL EFFECT! 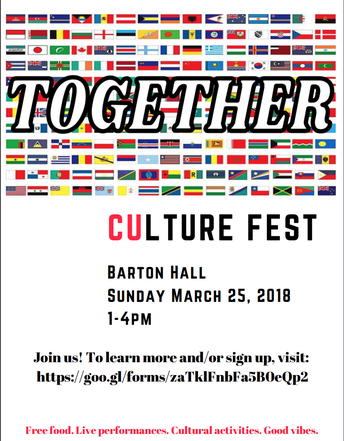 The Core Team for Culture Fest has been working ridiculously hard to put together an awesome event this semester celebrating the richness and beauty in the diversity within Cornell and the Ithaca community! “In response to last semester’s acts of hatred and hostilities towards various communities on campus, student organizations prompted a proper response in which we, the students of Cornell, have decided to come together and showcase our culture and diversity. The idea has come to fruition and the event has been named Culture Fest, taking place on Sunday, March 25th, 2018 in Barton Hall. Each participating group plays a vital role in Cornell’s rich multicultural community. We would love for you to take part in this event and celebrate with us! 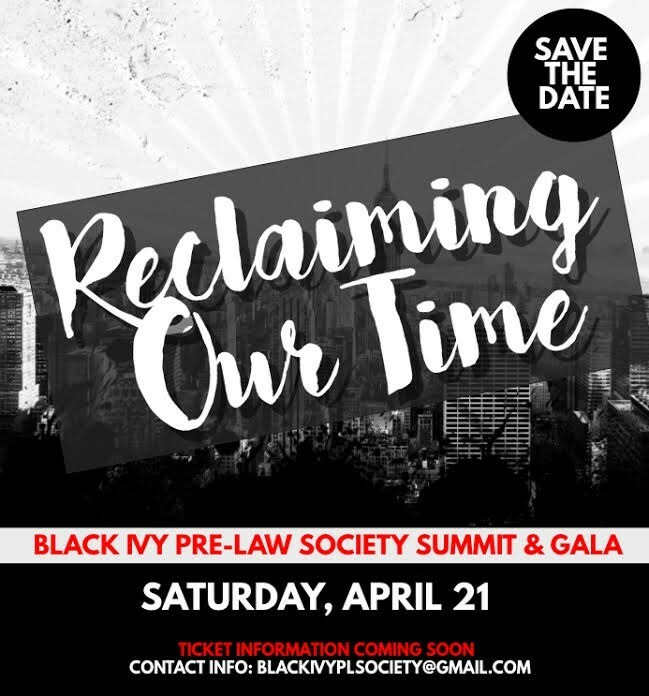 With an expectation of over 1,000 people in attendance, this is the time to present and rejoice in the brilliance of multiculturalism, focusing on the idea there there's unity in acknowledging our differences." 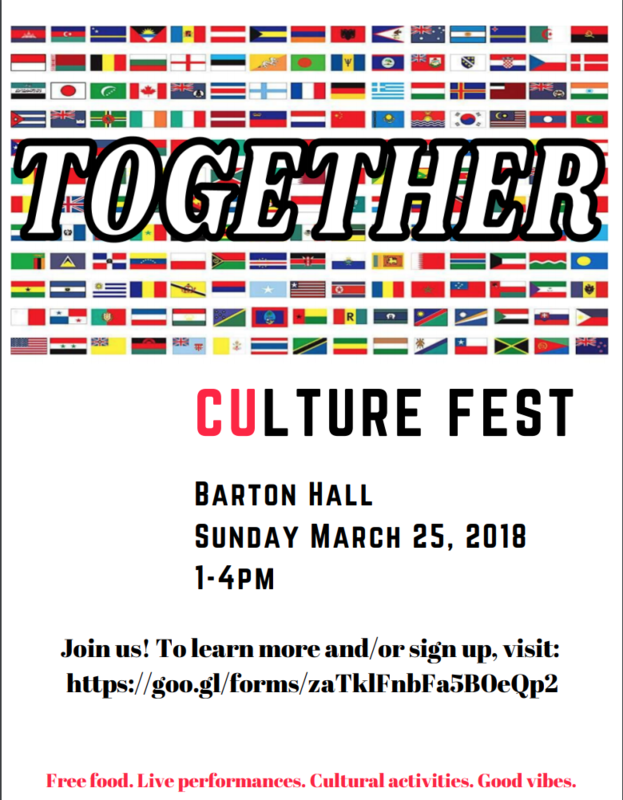 If you are interested in showcasing your organization at Culture Fest - whether it be through food, performance, a booth, or another approved activity of your choice (just ask us!) - please fill out this short google form by next Friday, March 2nd! Even if your org has already reached out to us, please fill this out anyways! This will allow us to have a central compilation of all orgs involved in Culture Fest. 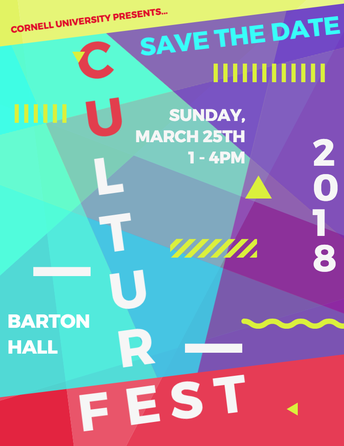 If you have any questions, please do not hesitate to email the team at cuculturefest@gmail.com! 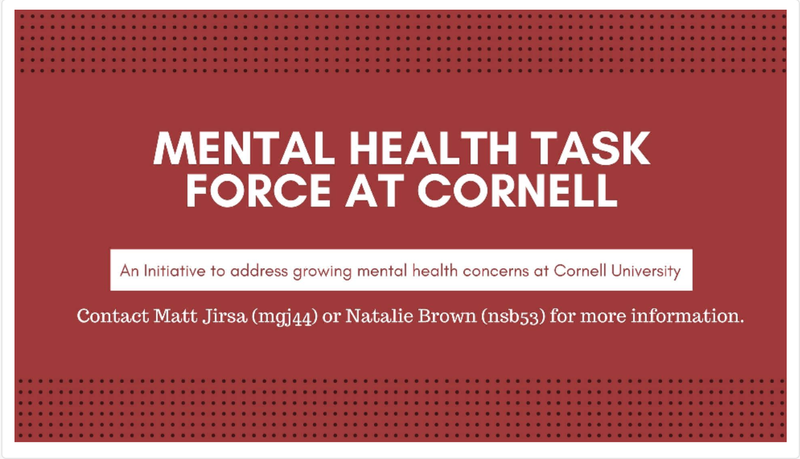 In response to last semester’s acts of hatred and hostilities towards various communities, student orgs have come together to showcase the culture and diversity at Cornell. Culture Fest. Sunday, March 25th, 2018. Barton Hall. Each participating group plays a vital role in Cornell’s rich multicultural community. Come, take part, and celebrate! It’s time to present and rejoice in the brilliance of multiculturalism, because there's unity in acknowledging our differences. We invite sophomore and freshman Cornell University students to meet and speak with our employees, hear about our business, and learn more about summer 2019 opportunities at the Firm. For more information and to attend a specific event, please view the list below and register on our website. At Morgan Stanley, we know that the diversity of our people is one of our greatest strengths. We strive to build an organization that is diverse in experience and background, reflecting our standards of integrity and excellence. The following Undergraduate Diversity Programs are an integral part of our diversity recruiting efforts. This program offers an opportunity for students who are interested in a career in Technology to gain insights into Morgan Stanley technologies, learn more about our Internship and Full Time Programs, and meet with a range of individuals across the Technology division. 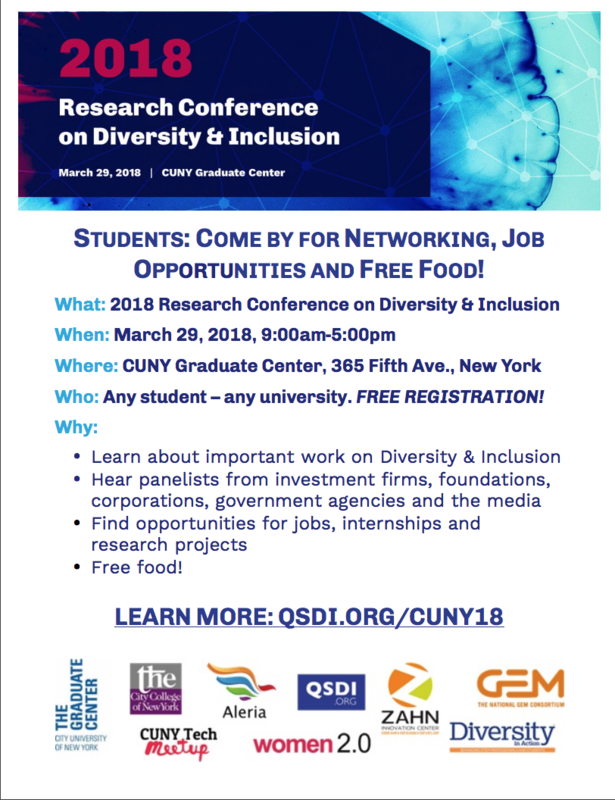 This one-day workshop provides LGBT, Black, Hispanic, and Native American undergraduate students with the opportunity to experience the culture of Morgan Stanley and is designed for students interested in Compliance, Corporate Treasury, Finance, Firm Risk Management, Human Resources, Internal Audit, and/or Operations. · After submitting your application you will be asked to complete an additional video component via HireVue. We encourage you to account for this step in your application timeline. 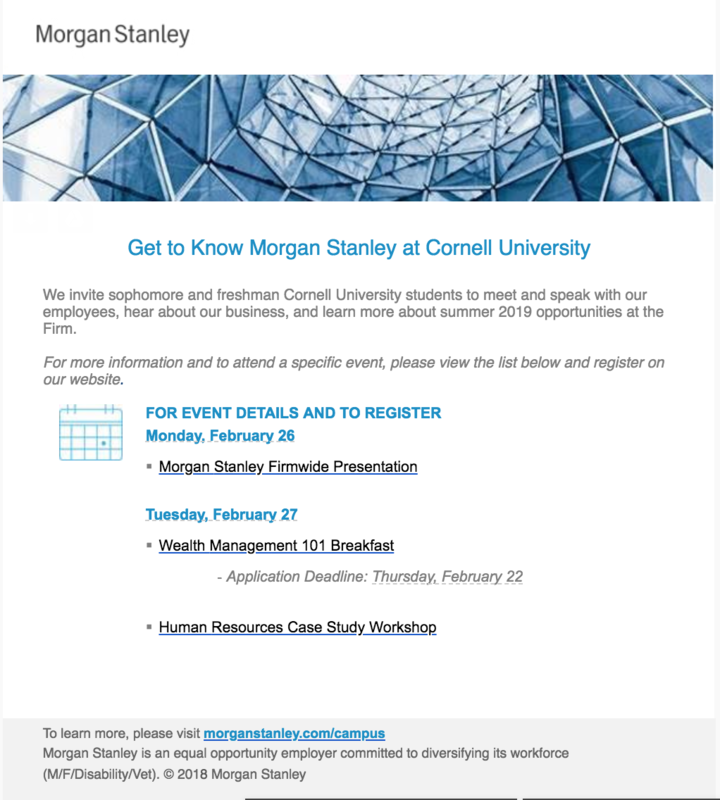 · All events provide opportunities to learn what it takes to be successful throughout the recruiting season, exposure to various divisions, and networking with Morgan Stanley professionals. 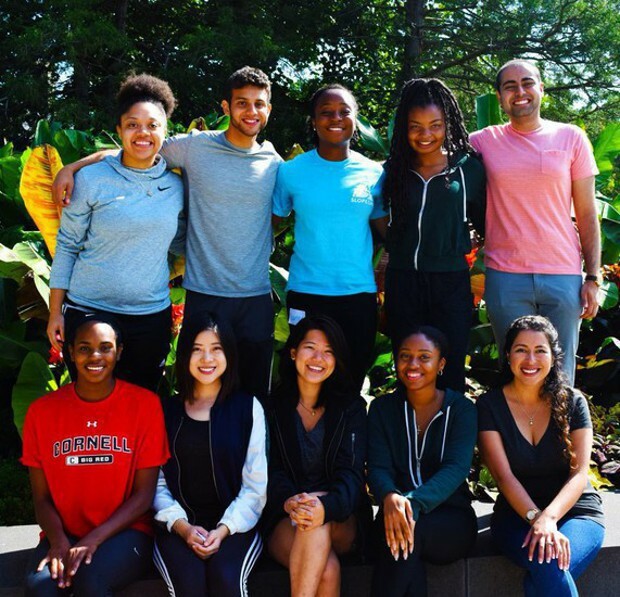 · You are welcome to apply to up to 3 programs; we encourage students to apply to the programs that focus on the populations they identify with and/or the divisions they are interested in pursuing. · All events will be held at our headquarters in New York City; participation is limited. · Eligible candidates must be currently enrolled at a four year accredited institution and provide their resume with a current GPA. Tune in here to watch Morgan Stanley educational webinars in order to help narrow down your divisional interests. To learn more about our other opportunities, visit: morganstanley.com/campus. · Full-time positions, funding the “gap” between such jobs and other market opportunities. · Research activities on entrepreneurship topics. · Travel or participation in conferences focused on entrepreneurship. 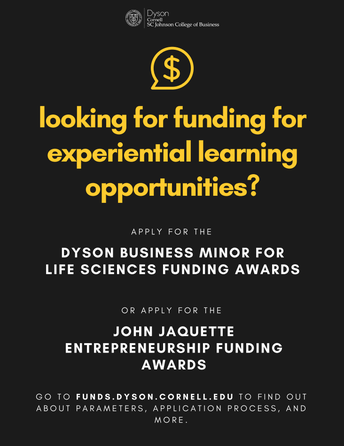 · Participation in other entrepreneurship related opportunities. 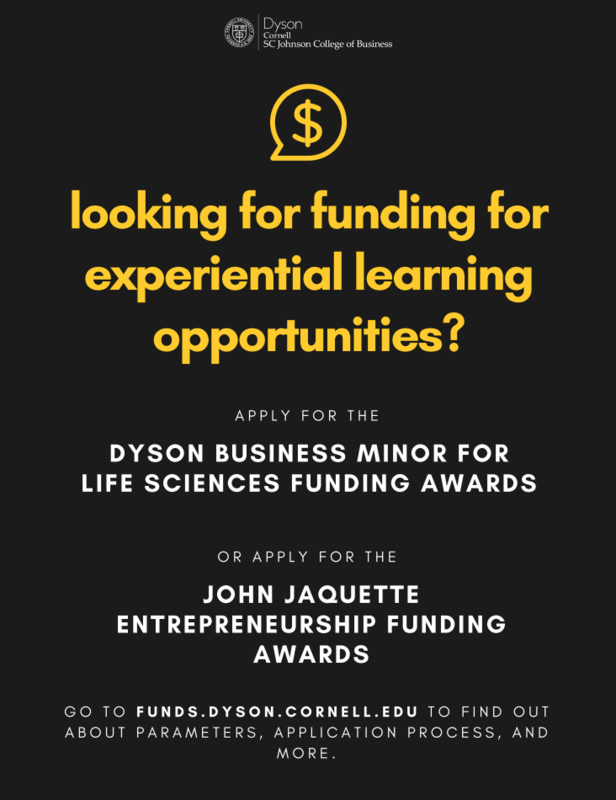 Students participating in the Dyson Business Minor for Life Sciences can apply to receive funding for a healthcare or business related internship/fellowship over the summer. Graduating seniors are eligible to participate. Note- you must explain what your internship will entail, how the money will be used etc. 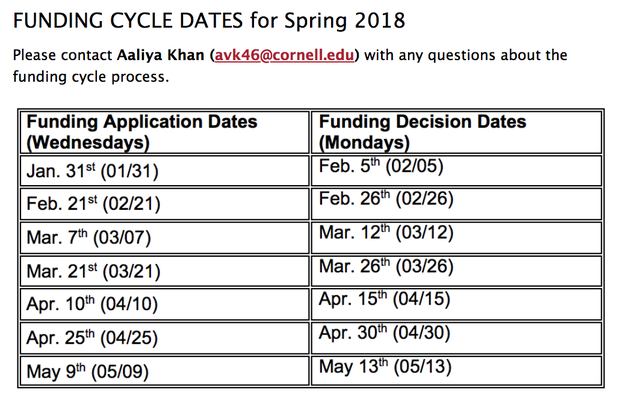 The Atkinson Center and the EDF are again sponsoring summer internship programs for Cornell University undergraduate and graduate students. Distinct instructions are available in each of the following position descriptions. Applicants must submit separate applications for each internship they wish to apply for. Orientation is a wonderful opportunity to be a positive influence on Cornell first years. As an OL, you will volunteer at a few of the many exciting orientation events, be a mentor and a guide to a group of first year students, and become a part of the amazing orientation family! Applications are open from February 21st through March 13th (until 11:59pm) and can be found here!